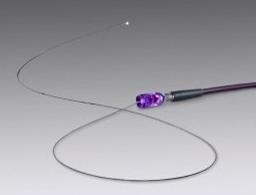 New Acclarent Devices give Surgeons an Enhanced Field of View in Endoscopic Spinal Surgery. Two new endoscopic devices launched in the UK promise to improve the success of surgery for treatment of chronic sinusitis. The Cyclops Multi-Angle Endoscope and Relieva Luma Sentry Sinus Illumination System (pictured)from US company Acclarent give surgeons an enhanced field of view when navigating the sinus. The sinuses are narrow and tortuous air spaces that can easily be blocked by minor inflammation. Sinusitis affects some 9 million people in the UK, with symptoms including headaches, facial pain, nasal blockage, toothache and fatigue. The new Acclarent endoscopic devices enable the surgeon to see the natural opening of the sinuses directly, examining many angles with one scope. These products add to the company’s Balloon Sinuplasty treatment platform, in which a tiny balloon is guided into the sinuses to help blockages. Since its launch in 2005, more than 120,000 patients worldwide have been treated with Balloon Sinuplasty.